when i feel sad, sick or just plain bored, i go to my shoe room and look at these beauties. and just like that i feel better again. can you spot your favorite pair? take me to there! OMG! OMG Anjelica! This is truly a shoe paradise! I have a lot shoes as well...but...not SO MANY!! I just died. You have an amazing shoe room. Hopefully one day I'll have that! I want to live in there!! Your collection is so cool/beautiful/great/amazing/etc. !!!! I die! I want your shoe closet!!! OH MY GOSH it's like a super rad shoe shop! No words needed. This is just incredible!! OMG! THIS IS THE PARADISE! OMG I'm speachless :O. You are a Lucky girl! Shoe envy! You have a wondrous collection. OMG!! I want your paradise!! Oh my!!! I'm so jealous of your closet, honey. Beautiful and they're all awesome! So many pairs! I could live in there and never complain, haha. They're all great shoes though. SHOE ROOM!! OMG, i love it! omg, this room is a dream!! I am so incredibly jealous of your shoe collection right now! And how organized they are! OMG! this is really paradise. I hope one day im am the old lady who lived in her shoes. oh my, this is heaven indeed! I may be a man but i am so in love with shoes, specially heels. This makes me so crazy! Love it when woman know which kind of pair they NEED to wear. OMG! I think I will start crying now. OMG! I cant pick my favorites cause they are ALL to die for! DROOOOLLLL! I love your shoe room, A. Ever since you debuted it sometime last year, I was so jelly! I can't pick just one fave shoes of yours.. they're all my fave!!! Hope you've been well, my dear. Muah. WOW!!! 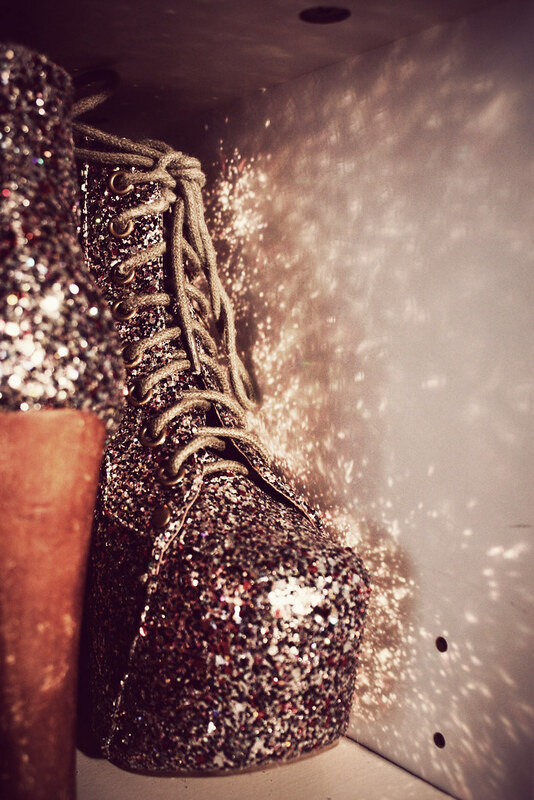 I would kill for those shoes!! You are so damn lucky!! Ooooooh, that is SO how I want my shoe closet to look like in a few years! Can't really choose a favourite, I just like the variety of prints you have! ahhh i wish i was your daughter! fashionable mom! follow me and visit my blog! My mouth literally fell open! Wow, shoe paradise :) I'm very jealous. i just discovered your blog and love reading it. Great style and oh my gosh!! all those shoes, what a dazzling collection. You honestly have the most amazing shoe collection. In a perfect world, I would have that. But unfortunately I don't have space. But man, that is my dream! I want your shoe closet !!! OMG! Love it ! I see so many gorgeous pairs. The brownish Alexander Wangs and all the leopard print. I really envy your shoes collection! isn't it amazing how just looking at those fabulous pieces you can suddenly feel better? Looking forward to seeing the rest of the wardrobe, Anjelica! can I move into this room, please?? OMG I'm so jealous right now!!!! DAMN!!!!!! I just found your blog btw, and I love it. You have such a great style! Keep it up.